Damon Wayans Jr. has been promoted to series regular on the hit Fox sitcom New Girl for the upcoming Season 4, which was announced back in March. The actor portrays Coach on the series, who actually appeared in the Pilot episode back in 2011, but he couldn't continue with the series, due to his commitment to ABC's Happy Endings. Coach was written off the show, with Lamorne Morris joining the cast as Winston, a former professional basketball player who returns to the U.S. after playing overseas, and becomes roommates with Jess (Zooey Deschanel), Schmidt (Max Greenfield) and Nick (Jake Johnson). 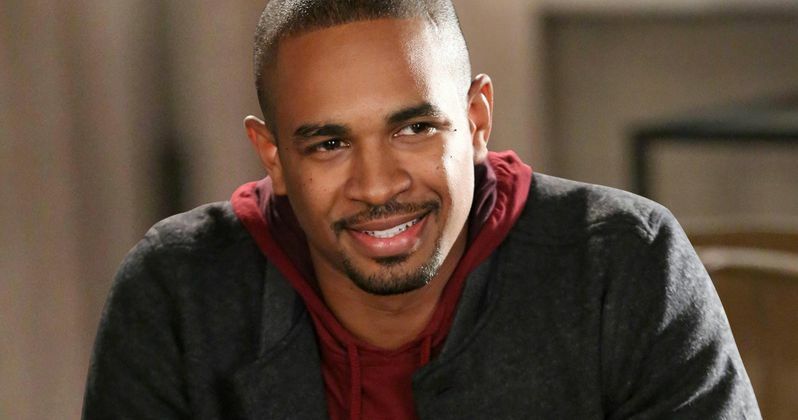 After Happy Endings was cancelled by ABC in 2013, Damon Wayans Jr. signed on to return for a four-episode arc in Season 3 of New Girl, and he closed a deal in November to remain on board for the rest of the season as a "special guest star." New Girl airs its Season 3 finale, "Cruise" on Tuesday, May 6 at 9 PM ET on Fox. Damon Wayans Jr. also stars opposite New Girl co-star Jake Johnson in the upcoming summer comedy Let's Be Cops, arriving in theaters August 13.